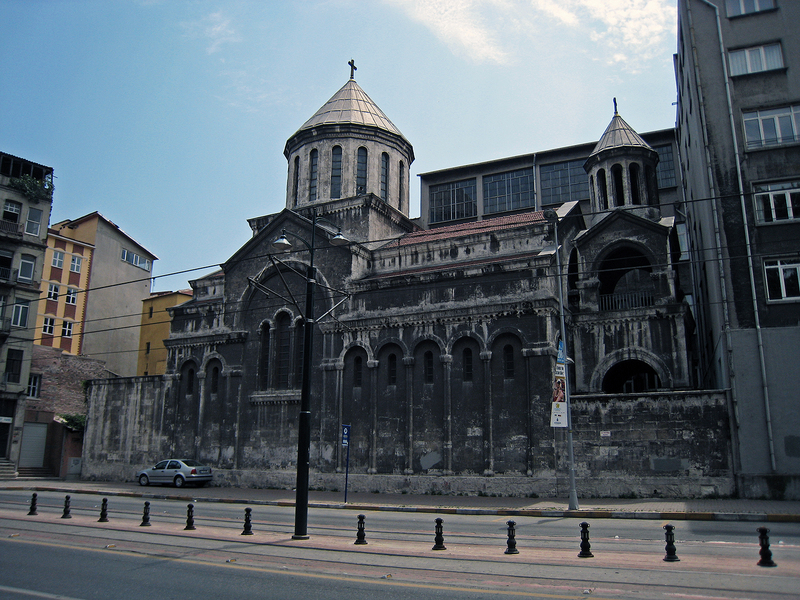 The Getronagan (Central) High School was a project of the Armenian community of Constantinople, which aimed at providing education with a productivity level that would be above the standards of foreign schools. 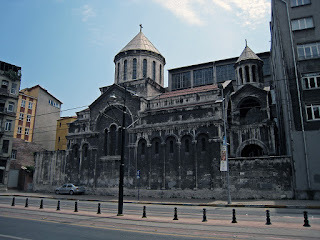 The project was initiated by Nerses Varjabedian (1837-1884), Armenian Patriarch of Constantinople, in 1882. He invited major donors to the Patriarchate on December 16, 1882, to gather funds for the renovation of the Patriarchate and the establishment of the Getronagan School. Due to his illness, the Patriarch realized that he would not be able to continue these projects, and before his death in 1884, he assigned priority to the establishment of the school with the donation, and postponed the repair work at the Patriarchate. The Patriarch Nerses Varjabedian Foundation was established to realize the project. The initial plan was to establish a secondary school in the neighborhood of Ortaköy. The first board of trustees was formed in the beginning of 1885. The school opened on September 1, 1886, with 64 students as first year students. The opening ceremony was led by Catholicos of All Armenians Makar I (1885-1891) and Armenian Patriarch of Constantinople Harutiun Vehabedian (1885-1888). The five-year program of the school was divided into two phases. In the first three years, they taught Religion, Armenian, Turkish, French, History, Geography, Mathematics, Science, Law, Commerce, Health, Stenography, and Painting. In the last two years, the last four were replaced by Political Economy, Accounting, and Pedagogy. The first faculty included some noted names in the Armenian intelligentsia, such as educator Reteos Berberian, writers Minas Cheraz, Hovsep Shishmanian (Dzerents), Tovmas Terzian, Srabion Hekimian, historian Madatia Karakashian, Gabriel Noradungian (future Minister of Foreign Affairs of the Ottoman Empire), etcetera. The school population had grown to 148 students when the class of 1891 (18 students) graduated. The first principal was Minas Cheraz, who held the position until 1889. He was succeeded in 1890 by Harutiun Mosdichian, who introduced changes to the educational system, such as the opening of the departments of Science and Literature. His tenure ended in 1896, when the school was closed. It was reopened in 1897, with an additional elementary school that served as free preparatory school for those students coming from the provinces. After a period of decadence from 1897-1909, coincidental with the tyrannical period of Sultan Abdul Hamid II, the Getronagan School recovered its past brilliance under principals Mardiros Nalbandian (1909-1913), Kegham Kavafian (1917-1927), and Bedros Adruni (1927-1933). Intellectuals like Gomidas Vartabed, Levon Shant, Vahan Tekeyan, Gostan Zarian, and others taught in the school. In 1929 the primary school was closed and replaced by a one-year preparatory section. From 1935-1951 the lyceum section of another venerable school, the Essayan School, was joined with the Getronagan. 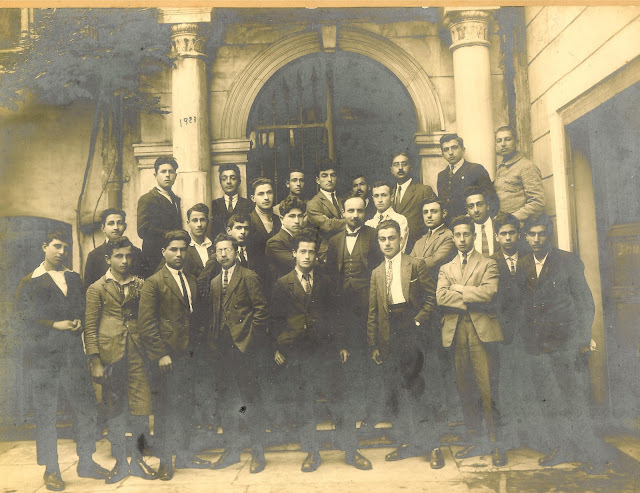 The school had famed teachers, but also remarkable graduates, including linguist Hrachia Ajarian, writers Arshag Tchobanian, Misak Medzarents, Vahan Tekeyan, Yerukhan, Hagop Siruni, Nigoghos Sarafian, Aram Haigaz, actor Armen Armenian, Armenologist Haig Berberian, photographer Ara Guler, pianist Sahan Arzruni. The Getronagan Alumni Union was founded in 1947 and organizes cultural activities, which also contribute both materially and morally to the welfare of the school. It has branches in France, the United States, and Canada. As of 2001, the Getronagan High School had 182 students.